i’ve been searching for an affordable standalone time-lapse solution to document the upcoming construction of a house. since there isn’t much hands-on information around, i thought i’d share the results of my extensive market research (which has taken up far too much time). the camera is going to be mounted on the neighbour’s house, and the distance/height situation requires a horizontal field of view of at least 110 degrees – hence the wide-angle requirement. wifi is available on site, as is a relatively protected camera position under the roof. the construction phase with most outside changes is estimated at several months, so i’m aiming for an interval between 10 and 30 minutes. 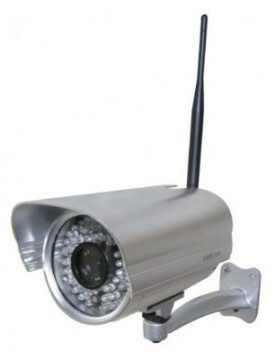 the first phase of my search led me to “ip cameras”, which provide a live-view and (in some cases) optional ftp-upload of images taken at a user-defined interval. there are lots of products available by companies including Foscam, D-Link, and Digitus. however, there are some significant limitations in this camera genre: image resolution is generally very low, and only a few products feature images bigger than 640×480. also, the maximum horizontal field of view i could find was 80 ° – i.e. not nearly enough for this project. thirdly, the majority of my preferred choices had mostly bad customer reviews regarding functionality and reliability. so, to sum up: none of these cameras are suited for our use case. 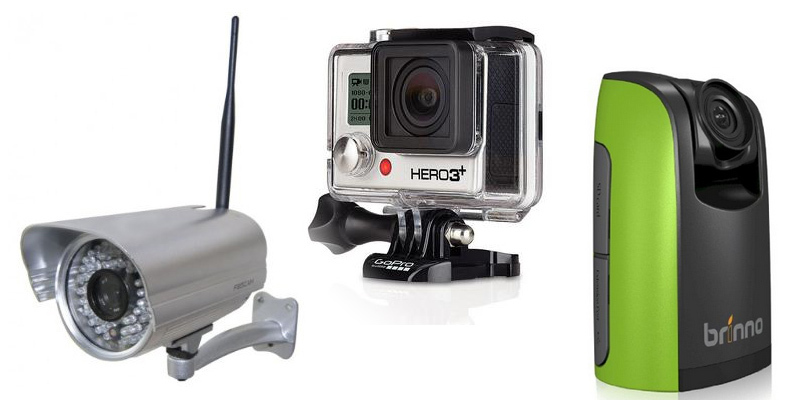 i’m a big fan of gopro, so the current line of gopro cameras quickly came into mind. most importantly, all hero3 offer wonderfully wide-angled views (up to 122° horizontal FOW or 149° diagonal; true for hero3 and hero3+), high-resolution footage and wifi. the mobile app provides wifi-access to images and videos on the sd-card (including download to your mobile device and deletion from the sd-card) and even a live preview, which is very handy when setting everything up. i’d prefer automatic ftp upload, but local wireless access is good enough. all models also feature a time lapse mode, but this is limited to a maximum interval of 60 s. another, strong limitation is battery life: getting more than 3 hours of operation out of one full charge is already difficult. gopro fans have come up with some clever solutions to these issues: there are some DIY external power “hacks” which include drilling a hole into the case for the usb cable and patching it up again with silicone. my favourite DIY solution is the partial dismantling of a mini-usb plug and cable, without the need for housing modification (scroll down to Vincent VD’s comment for a pic with the weatherproof option). yes, it might damage the rubber insulation on the back door, but that’s easy and cheap to replace. if DIY is not your thing, there are also some pre-made solutions available such as longshot dc-adapter and the cam-do battery eliminator. 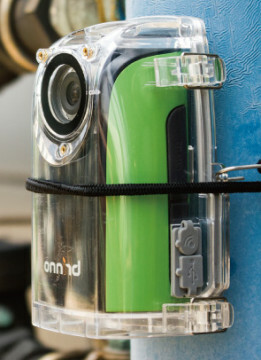 the interval issue also seems to be relative: cam-do offers a GoPro Time Lapse Controller (from 80 US-$, plus extended back door for 15 $) which plugs into the backpack connector. this controller can be configured to your desired interval, and will independently power the camera on, take a picture, and power it off again to save battery. even the cheapest hero3 white model is compatible with this system, but the required one-button mode blocks wifi connections. the more expensive and higher-end hero3+ silver and hero3+ black automatically force you into time lapse mode instead of taking a single photo in one button mode, but you can make use of advanced “super one-button-mode” scripts, which even allow you to toggle wifi as you wish. if you would rather spend more money on a better model, and save yourself the accessory surcharge, check out konrad iturbe’s gopro “hack” called megalapse (github page). it works the same way as the super one button scripts, and allows for intervals of up to 45 minutes. the downside is that your camera is in continuous operation for the duration of your project, which may be bad for the sensor and other camera electronics in long-term use. update: the gopro hero2 is (obviously) cheaper than the follow-up generation, has an FoV of 170 °, and is compatible with eye-fi wifi-capable sd-cards (thus, can automatically upload pictures via ftp and delete them from the card). however, it also requires a hardware solution for intervals greater than 60s. 2 max. interval extendable using third-party hardware (Cam-Do Controller). 3 max. interval extendable using third-party hardware (Cam-Do Controller) or software hack (Megalapse). but there’s still hope for this project: Brinno, a camera maker specializing in time lapse cameras, produces a special “construction time lapse camera” which is one of two interesting models: first, there’s the Brinno BCC100 Construction Camera pack, featuring a TLC200 f1.2 camera and weather proof housing, with a 140° field of view (though there is no information on whether this is horizontal or diagonal FOV). TLC200 Pro, the higher-end camera, is powered by a HDR-sensor, special night-modes, inter-changeable lenses and (with the standard lens) manual focus between 1 cm and infinity. you can set the cameras to stop recording once it gets too dark, and final avi-videos are compiled directly within the camera (no output of single frame pictures). both cameras are specifically designed for longer-term use (4 AA batteries are said to last “up to 78 days”), and weather proof housings (with usb port for external power) are available. however, the image/video resolution is limited to 720p, and there’s no native wifi functionality. also, the cameras are fairly new on the market, so customer reviews are sparse. 4 Brinno promises Eye-Fi compatibility, but offers no details. 5 weather proof housings available for about 45 €/45 $. to make up for the lack of wifi, the manufacturer has recently added Eye-Fi compatibility, but the only hands-on articles seem to be sponsored ones that are suspiciously identical, with some important details left out: for example, when is an avi file saved, i.e. is it available via the Eye-Fi interface at the end of every day or timer session, or only at the very end of recording? the maximum avi file size is listed at “8192 to 20480 frames” in the manual – when this limit is reached, does the camera stop completely, or start a new file? Eye-Fi allows either direct wifi access via the app or pc software, or automated upload to various online services (including your own ftp server) with all x2 cards, so that may be a good option. 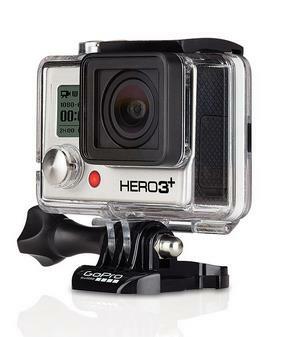 to sum up: gopro trumps in terms of image resolution and wifi, but has its limitations for longer-term use. brinno, on the other hand, offers an interesting standalone option specifically designed for long-term time-lapse projects in the outdoors. 720p resolution is not uber-awesome, but will probably suffice for many of my use cases. after watching some sample time lapse videos, i’ve just ordered a TLC200 Pro camera, complete with weatherproof housing, wall mount and Eye-Fi card, and i’ll report my first-hand experience in a future blog post. Interesting comparisons, found your site while googling for a suitable camera for time-lapse of a 9-month-long construction project. Ideally, a camera would upload single pictures to any kind of server; do you know if the Brinno’s can also do this with an eye-fi card or are they only capable of storing the final avi? this is exactly what I would like it to do. unfortunately, single images are only saved with the manual shutter release for self-pics. ordinary time lapse stores only the avi, and closes it only in the very end of recording. I have now decided to use my old Canon S90 with an added time-lapse function and an eye-fi card. Luckily, the camera will be sitting in the neighbour’s attic window, so wifi and power won’t be any problem. three months later … how did you go with the Brinno tlc 200? I’m wanting to film an apartment construction site over c. 5 months and looking for a suitable camera but I need decent quality as its to be c. 10 sec clip in a c. 60 min documentary. Hi markus, i wanted to know whether Brinno camera gives time lapse video only or it even gives images (seperately) taken at certain interval of time. I want to make a time lapse of a construction site for 9 months, I want images taken at some interval (ex. one pic every 10 min) i;e not a avi video …Is this possible with this cam ??? the camera only outputs the final 720p avi video, but you can then go and extract frames from the file I guess. This is all very, very helpful. I am wondering if the batteries on the camera and the SD card can be accessed without disturbing the precise position of the camera. Thanks! unfortunately the battery compartment is a little swing-out door which sits at the bottom of the camera. the SD card slot is on the side and easier to access, but I don’t believe you can do either (especially when it’s in the weather proof housing) without moving the camera in the slightest bit. What has worked for me was external power supply via usb. I then used the usb cable to connect to a pc and download the footage occasionally. The only thing i needed to do at the end was reconnect the usb cable to external power and press the OK button on the back of the camera twice to restart time lapse capture.